← Could Maine Adopt the Biking Culture? Of all of the sights we encountered in Denmark, one that stays in my mind is the haunting spectacle of thousands of tiny yellow comet-shaped “tails” representing airline traffic moving across a Science on a Sphere globe at the newly renovated Visual Climate Center in Højbygaard, about a two hour bus ride from Copenhagen. (1, 2, 3) This powerful visual underscored the complexity of climate change mitigation: airline travel brings us together at the same time it is permanently and irrevocably destroying our environment. The incremental impact of purchasing carbon offsets for travel (as many of us did for this University of Southern Maine study tour) is a drop in the bucket; here in the U.S., significant step changes that reduce emissions in the airline industry and require changes human behavior are almost incomprehensible. Developed by the U.S. National Oceanic and Atmospheric Administration (NOAA), Science on a Sphere is a room sized display system that uses computers and video projectors to project planetary data onto a six foot diameter replication of our planet. The globe’s data sets are supplied and updated weekly by NOAA, the National Aeronautics and Space Administration (NASA), and others. It is interesting to note the U.S. government’s critical role in monitoring and tracking official climate data for international audiences. Seeing the magnitude and flight patterns of airline travel during a time-lapsed 24 hour period left me with two conflicting viewpoints: 1) appreciation for human capacity to connect and move people quickly and efficiently across the far reaches of the globe on a daily basis, and 2) apprehension at the recognition of the vast daily carbon footprint of the combined total of hundreds of thousands of flights. On a daily basis, more than 87,000 flights are in the skies above the United States alone. We watched as flight traffic picked up noticeably during daylight hours and dropped off through the night. And there’s no going back. We will never give up our ability to fly, and in fact air traffic volume is only increasing. The U.S. Federal Aviation Administration expects air travel to nearly double in the next two decades, faster than advances in flight fuel efficiency. As we learned from calculating the carbon footprint for our roundtrip flight to Denmark (about 6,000 pounds of CO2 emissions), an international flight can be worse than a year of commuting to work by car. In fall 2012, Congress agreed on very little except for the European Union (EU) Emissions Trading Scheme Prohibition Act of 2011. The law prohibits U.S. airlines from joining the EU Emissions Trading System, which would require power plants and manufacturers, and airlines, to pay fees for excess carbon emissions. According to an article in The New York Times, “airlines and governments in the United States, India and China went ballistic…”(4) causing a delay in the law’s implementation. The United Nations’ International Civil Aviation Organization is convening a September meeting on airline issues. (5) U.S. airlines are opposed to any kind of tax or regulation, preferring instead to focus on technical innovations because, they say, that taxes would take money from the U.S. and give it to the EU. 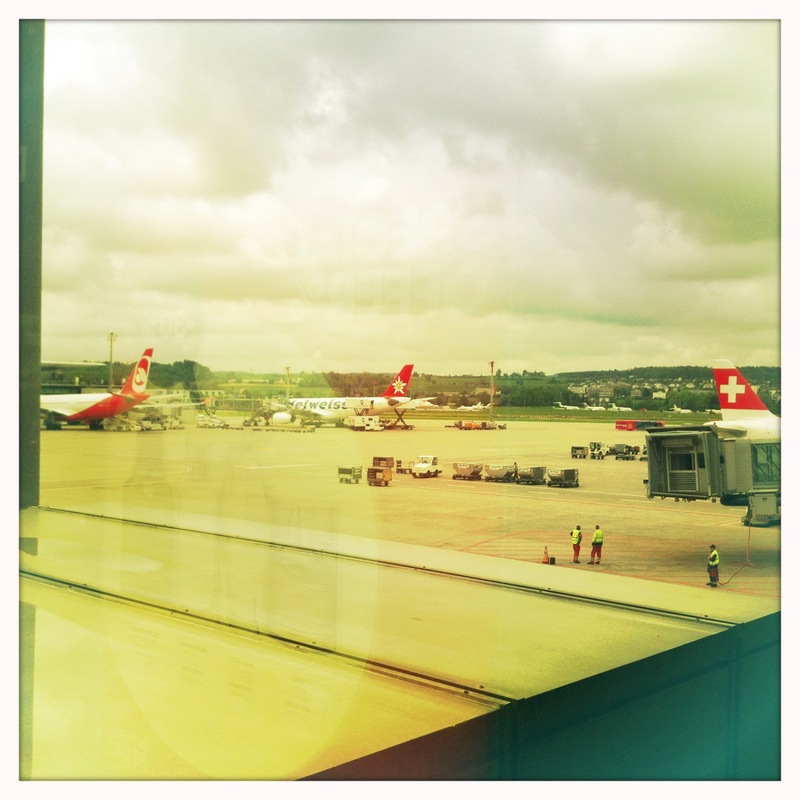 A layover in Zurich decreased the cost of our flight but increased the overall carbon footprint of our trip. But some analysts estimate that the European program would add just $5 to the price of a typical trans-Atlantic flight, which doesn’t seem like much. The EU is moving ahead with emissions payments on flights, making it harder for them to compete–and they will be collecting on all flights in and out of EU airports. Ultimately, it seems that the price of airline travel is bound to go up, and perhaps some people will travel less. Who will win and who will lose in this scenario? In Maine, perhaps we can ask ourselves how the U.S. should be engaged in international climate change discussions and negotiations–and how we want to take responsibility for our contributions, individually and collectively, to global warming. 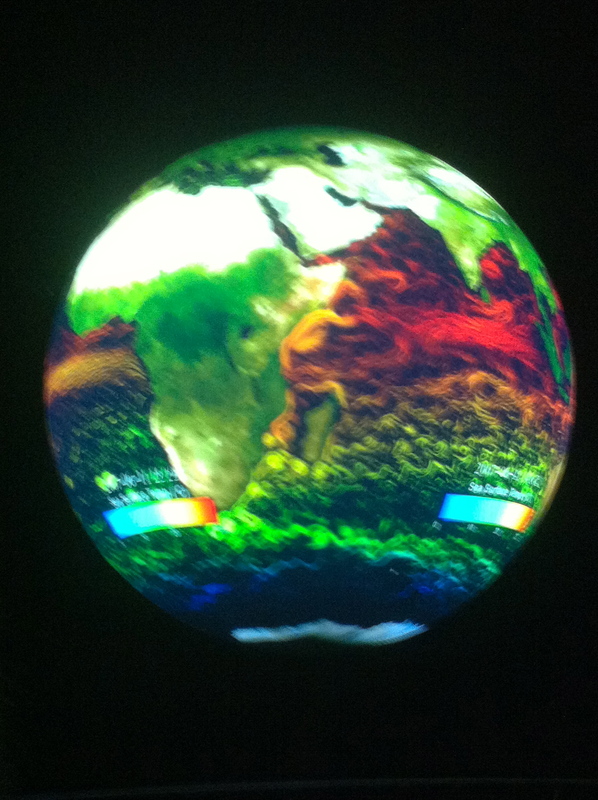 Having access to compelling visual educational tools such as Science on a Sphere is helpful in explaining the significance of the issue to consumers. Making the link between recognizing a problem and doing something about it begins with education but requires a deeper level of policy engagement. 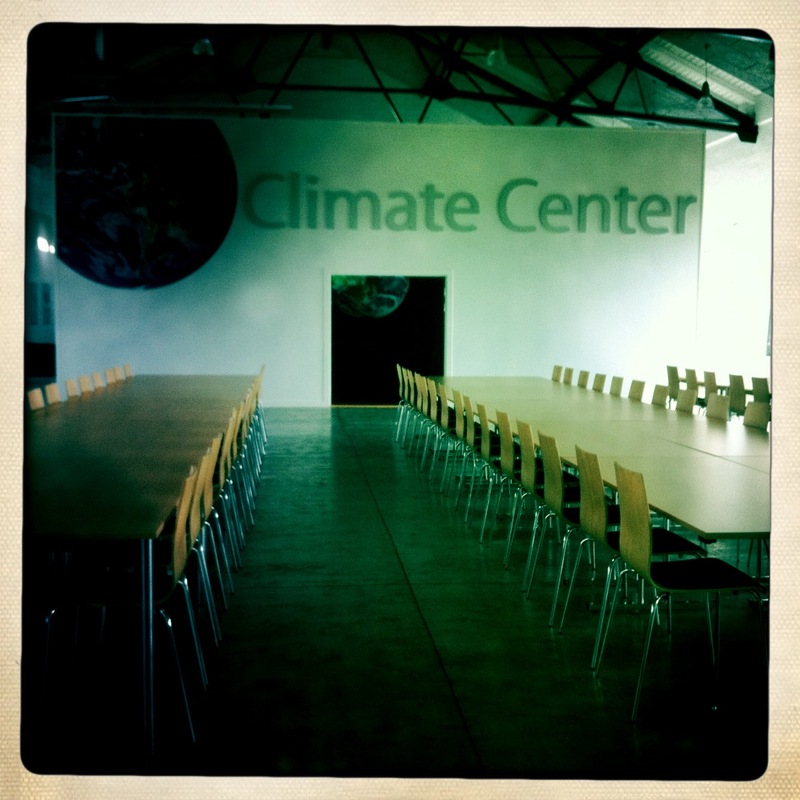 This entry was posted in Policy - energy and climate change, Transportation (including bicycling), Visual Cimate Center and tagged airline travel, carbon footprint, climate change action, denmark, global warming, international air travel, science on a sphere, USM, visual climate center. Bookmark the permalink.